This Is Sure to Warm You Up. 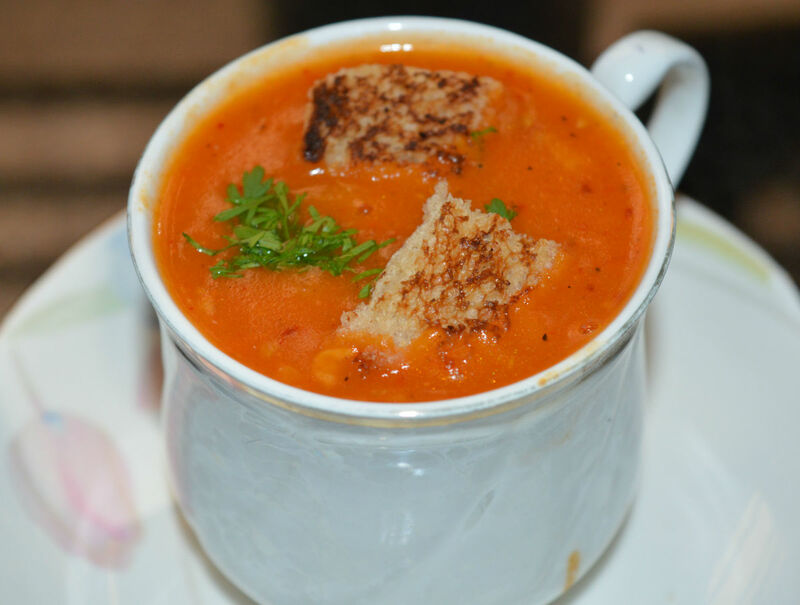 This is a colorful, spicy, and hot soup that's perfect to warm yourself up during the winter months. 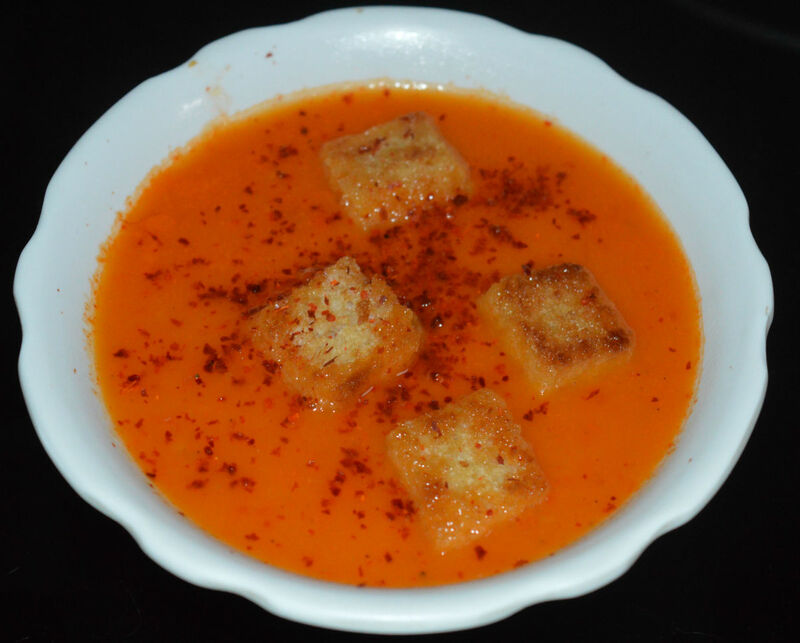 You need some ripe tomatos, an onion, red capsicum, potatos, garlic, butter or olive oil, carrots, red chili powder, pepper powder, a cinnamon stick or some cinnamon powder, breadcrumbs, sugar, and salt. Heat butter or olive oil in a deep-bottomed pan. 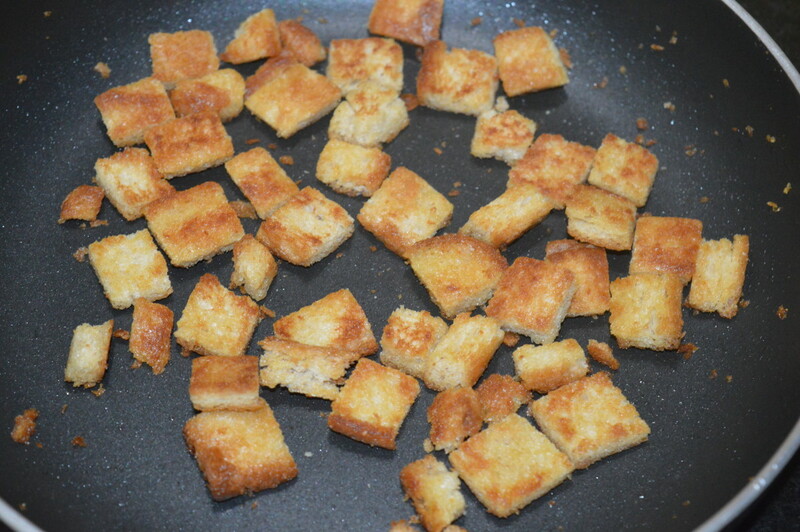 Saute breadcrumbs till they become crispy and golden brown. Take them out and place on a plate. Keep aside. In the same pan, add some more butter or olive oil. Saute chopped onions and garlic for a minute. Add chopped potato and carrots. Sprinkle salt on them. Stir-cook for 3 minutes. Throw in chopped red capsicum and tomatoes. Continue cooking the contents for a while. Add a glass of water. Cover the pan. Let the mix boil for 5-6 minutes or till veggies become soft and cooked. Turn off the flame. Keep it aside for cooling. Pour the mix into a mixer grinder. Add a small cinnamon stick. Grind, adding water to get a smooth puree. Transfer it to a deep pan. Add 2 1/2 glasses of water. Add red chili powder, pepper powder, sugar, and salt. Mix well. Boil the mix for a minute. 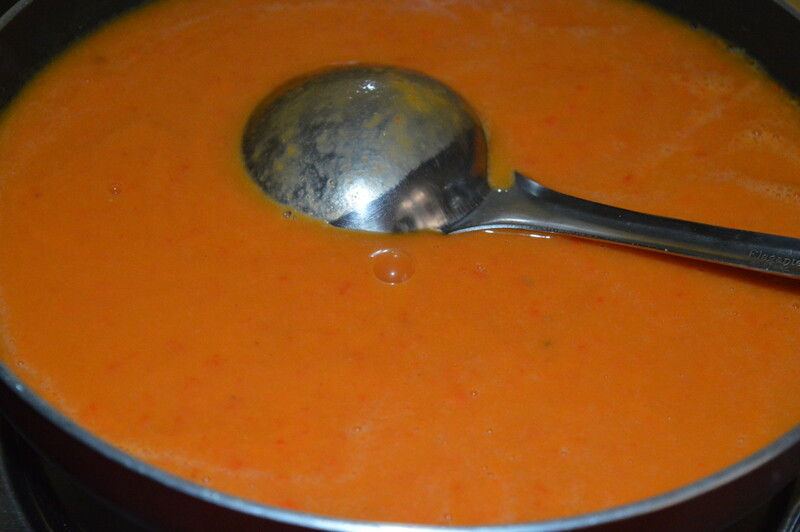 Tomato and sweet pepper soup is ready to serve. Pour it equally into four bowls. Garnish with fried breadcrumbs and kashmiri red chili powder. 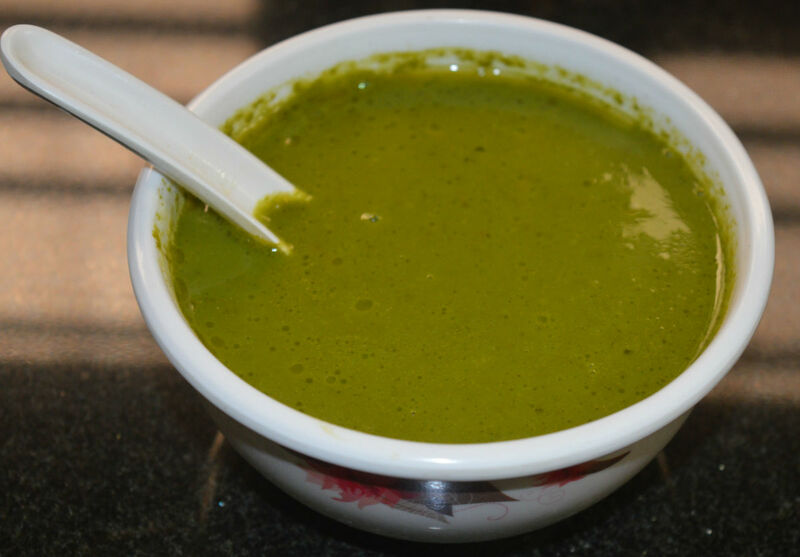 Enjoy sipping garlicky hot soup! 1. 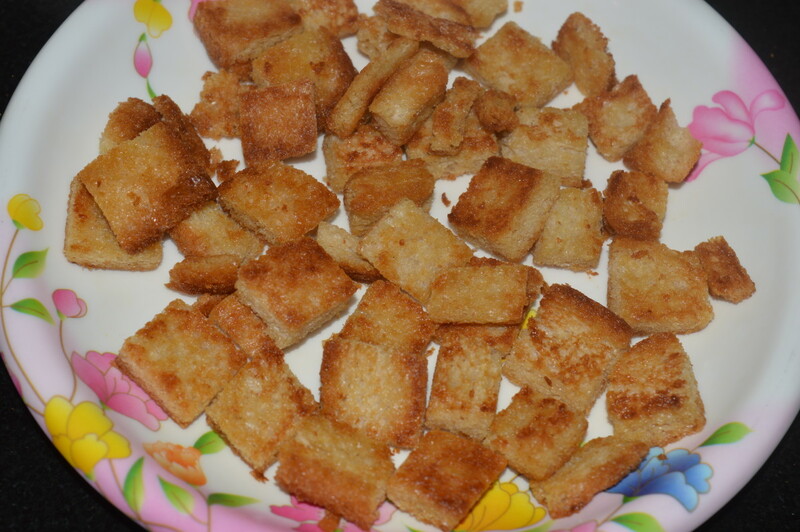 Deep-fried breadcrumbs absorb lots of oil. Hence, shallow-fry them in just enough oil. 2. 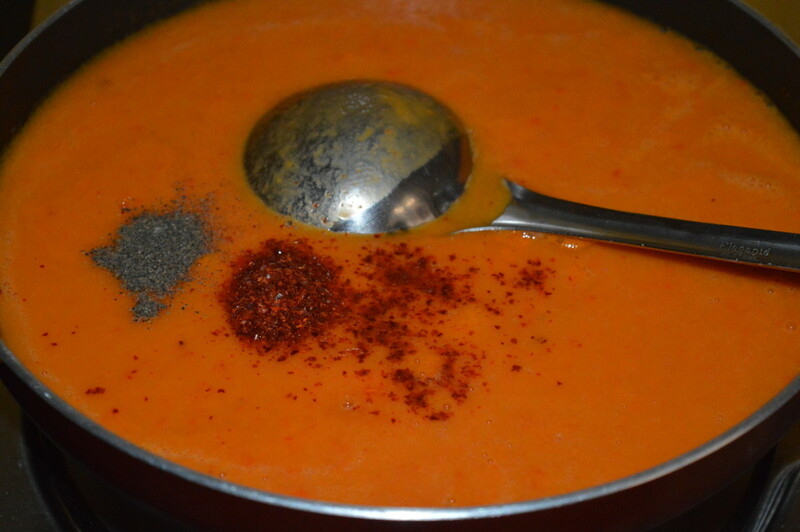 Kashmiri red chili powder is less hot. It has bright red attractive color. 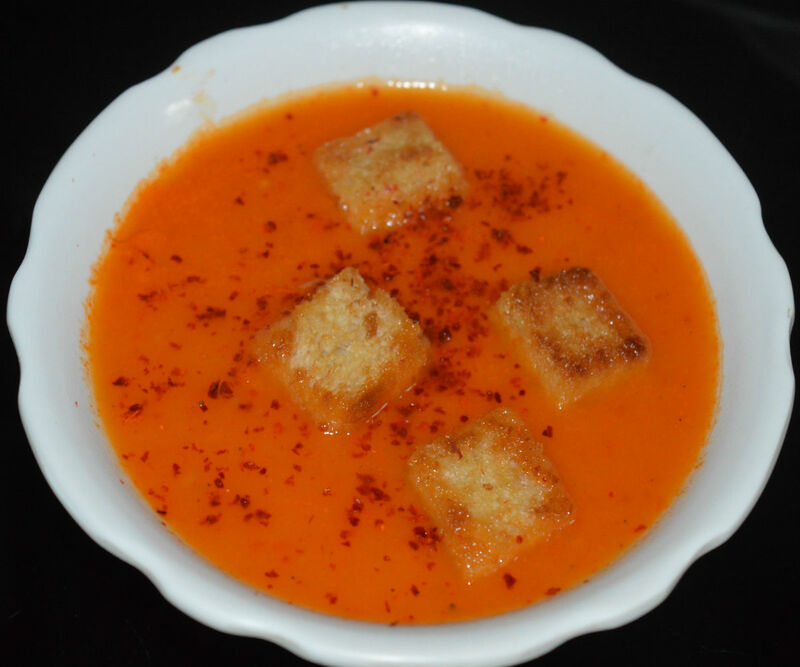 Hence, sprinkle a pinch for garnishing the soup. Heat some butter or olive oil in a deep-bottomed pan. Throw in breadcrumbs. Saute on a low fire till they become golden brown and crispy. Take them out and place on a plate. 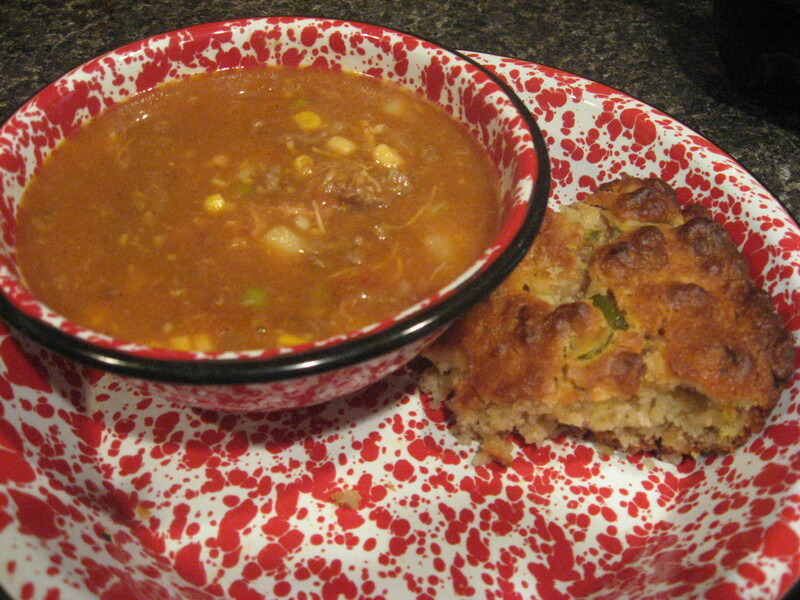 These crumbs are for garnishing the soup. Pour remaining butter or olive oil to the pan. Add chopped onion and garlic. Saute for a minute. 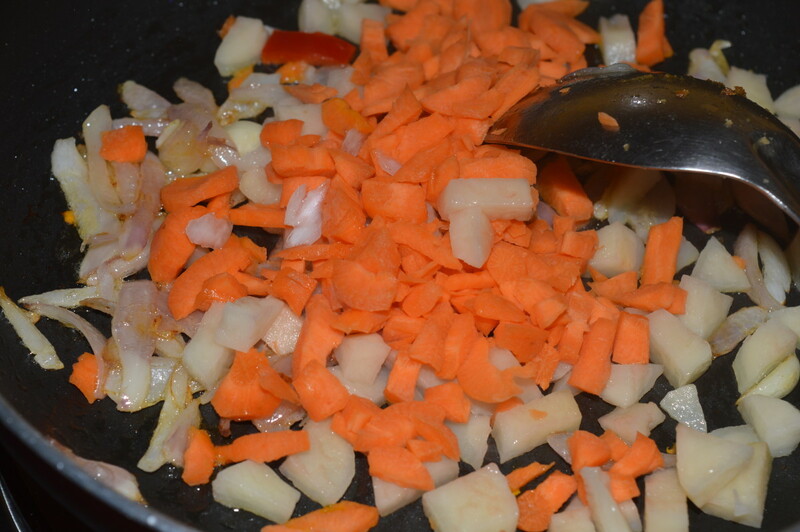 Add chopped carrots and potato. Add salt. This will speed up the cooking. 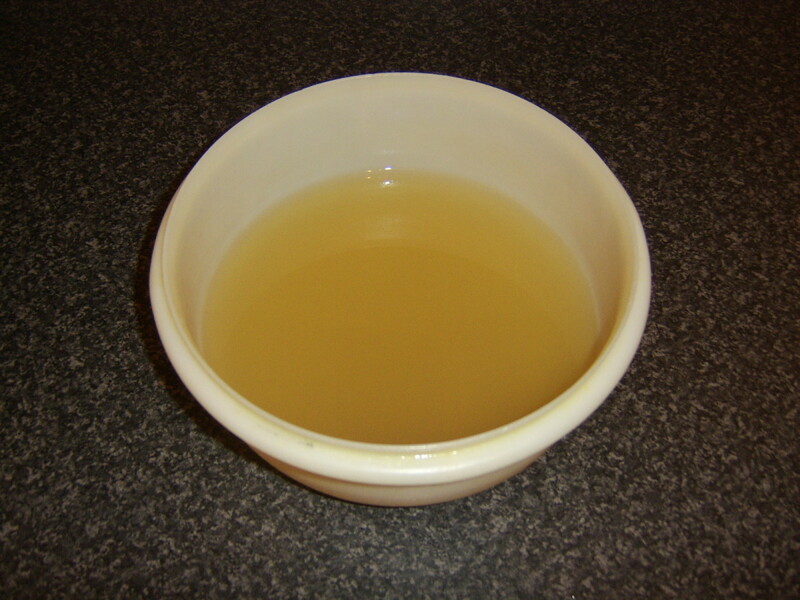 Continue stir-cooking for 3 minutes. 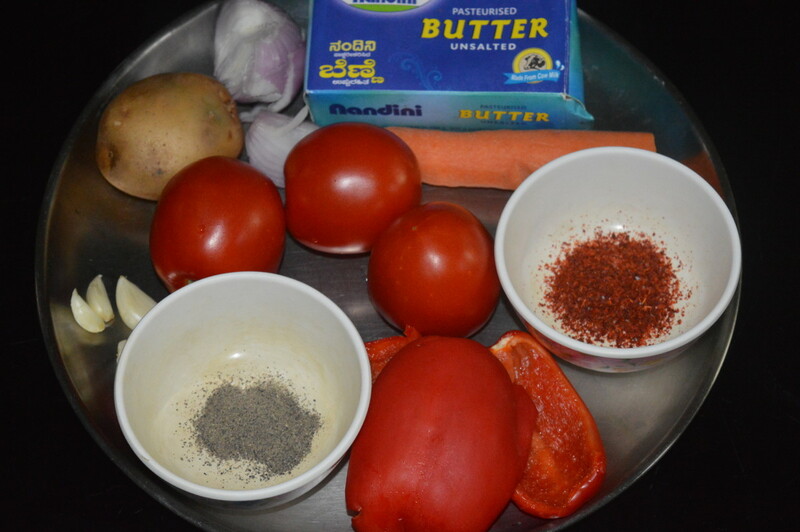 Throw chopped red capsicum and tomatoes into the pan. Continue cooking for a while. Pour a glass of water. Cover the pan. 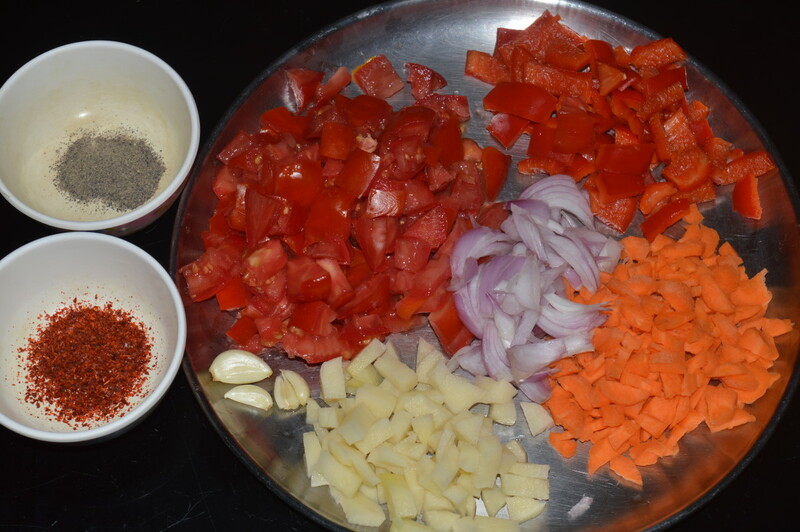 Let the mix boil for 5-6 minutes or till the veggies become soft and cooked. Turn off the heat. Keep aside for cooling. 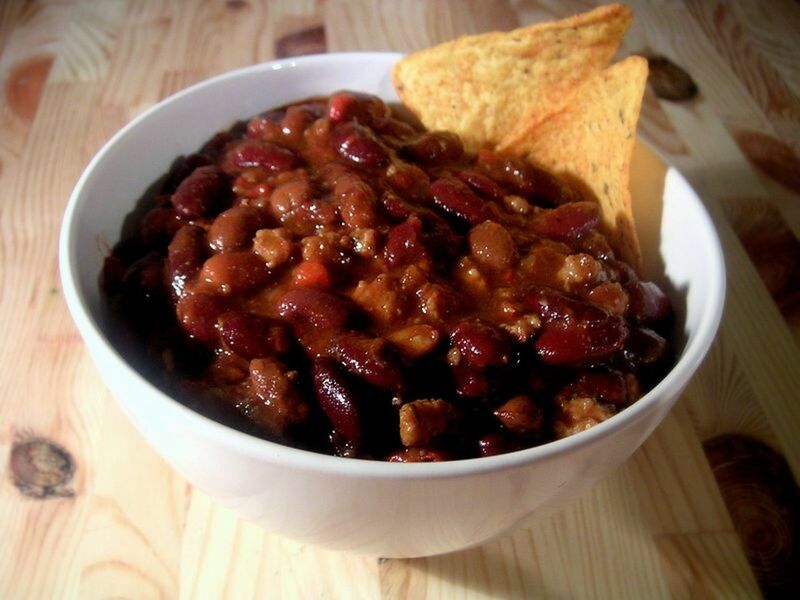 Take the mix in a mixer grinder. Add cinnamon. Grind together, adding water to get a smooth puree. Transfer it to the deep pan. Add 2 1/2 glasses of water, red chili powder, pepper powder, sugar, and salt. Boil and stir the mix for a minute. Turn off the fire. 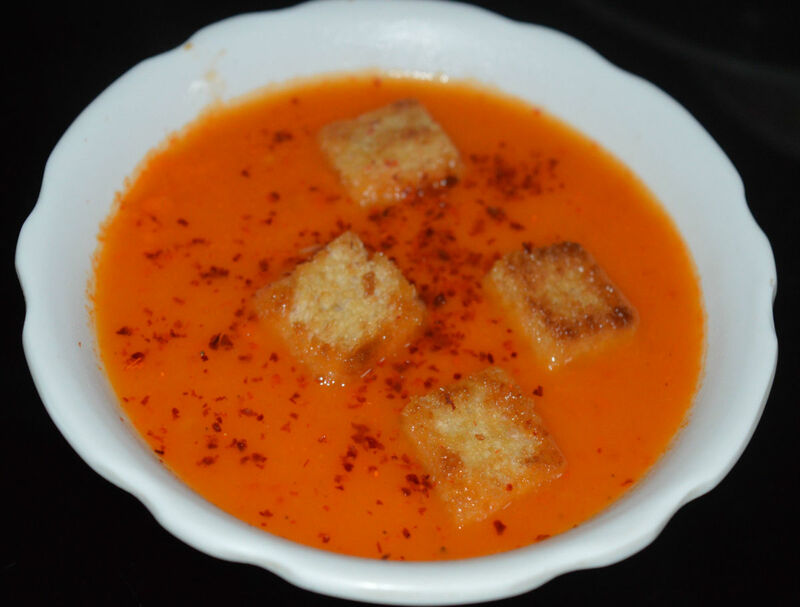 Tomato and sweet pepper soup is ready to sip. 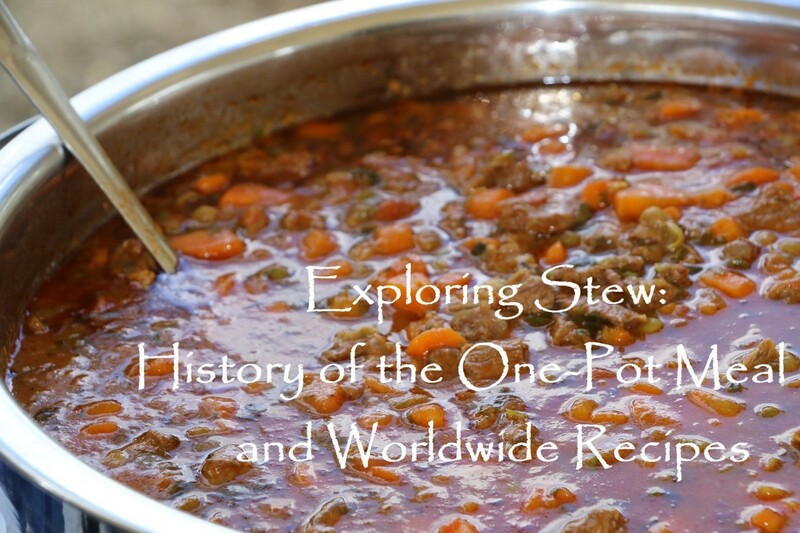 Pour it equally into four bowls. 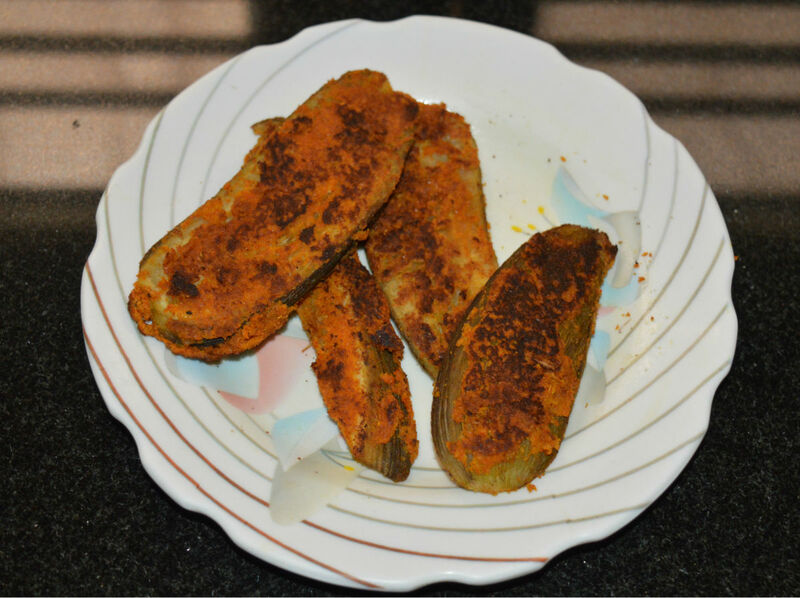 Garnish with breadcrumbs and a pinch of kashmiri red chili powder. Enjoy! Step three: Saute breadcrumbs in butter or olive oil. Transfer them to a plate. 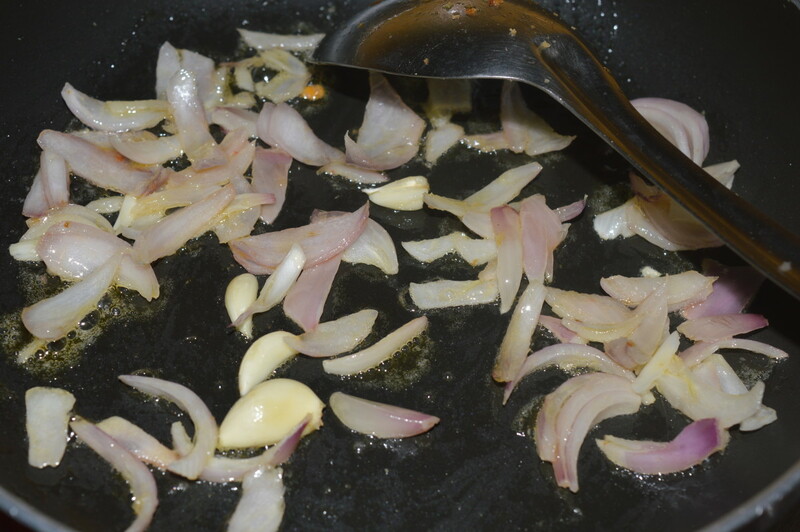 Step four: Saute onion and garlic in the same pan. 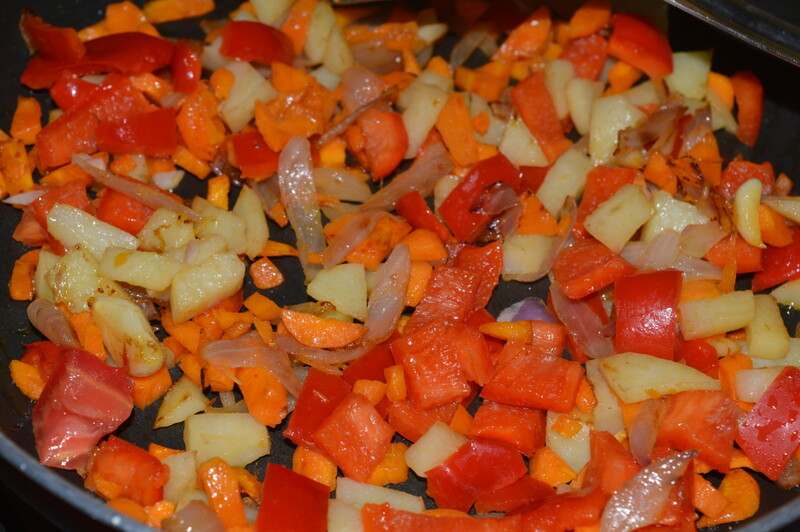 Step five: Throw in chopped potato and carrots. Stir-cook for 3 minutes. Add salt for fast cooking. 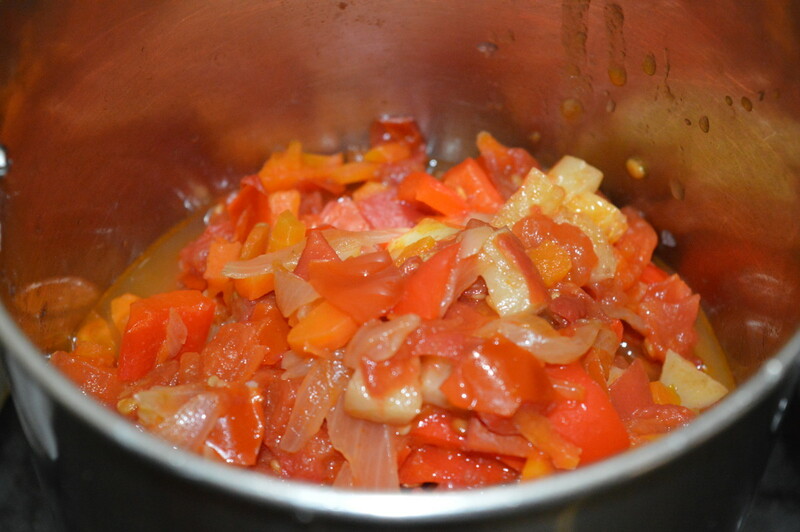 Step six: Add chopped red capsicum. Continue stir-cooking for a while. 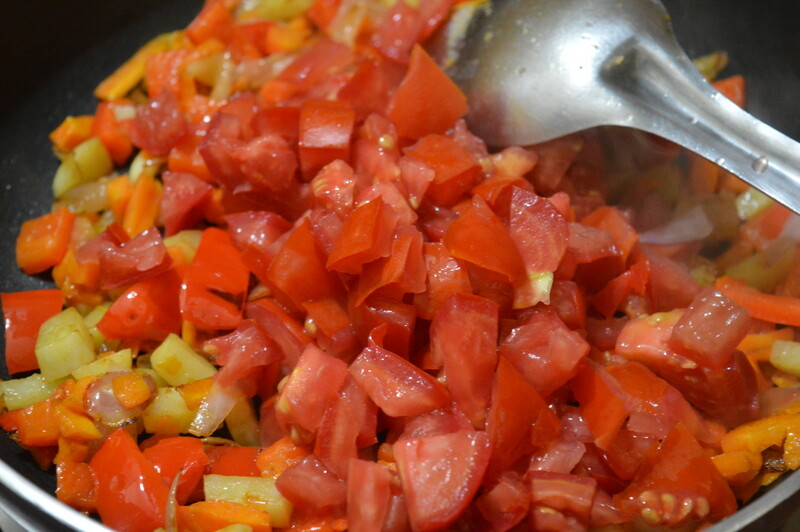 Step seven: Add tomatoes. Cooking continues. Step eight: Add water and cover the pan. Let the mix boil for 5-6 minutes. Turn off the fire. Keep aside the mix for cooling. Step nine: Pour it into a mixer grinder. Add cinnamon stick. Grind adding water to get a smooth puree. Transfer it to the deep pan. Step ten: Add 2 1/2 glasses of water. Let the mix come to a boil. Step eleven: Add red chili powder, pepper powder, sugar, and salt. Boil for a minute. Turn off the fire. 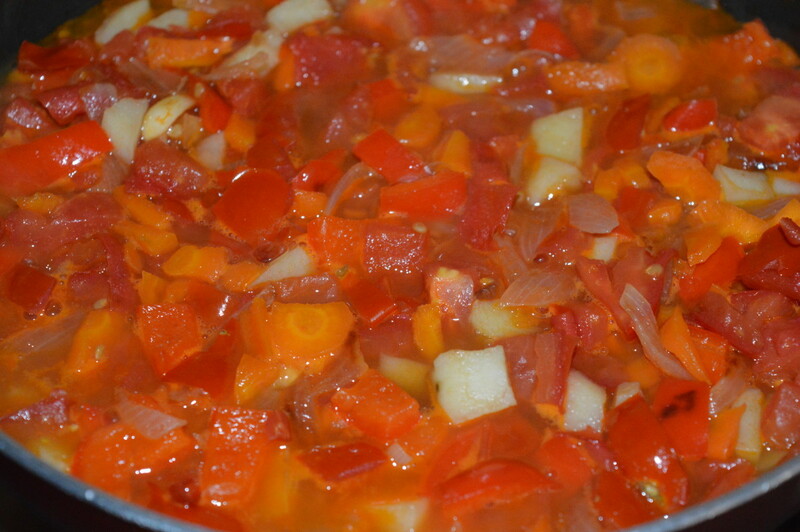 Step twelve: Tomato and sweet pepper soup is ready. Pour it equally into four bowls. Garnish with breadcrumbs and kashmiri red chili powder. 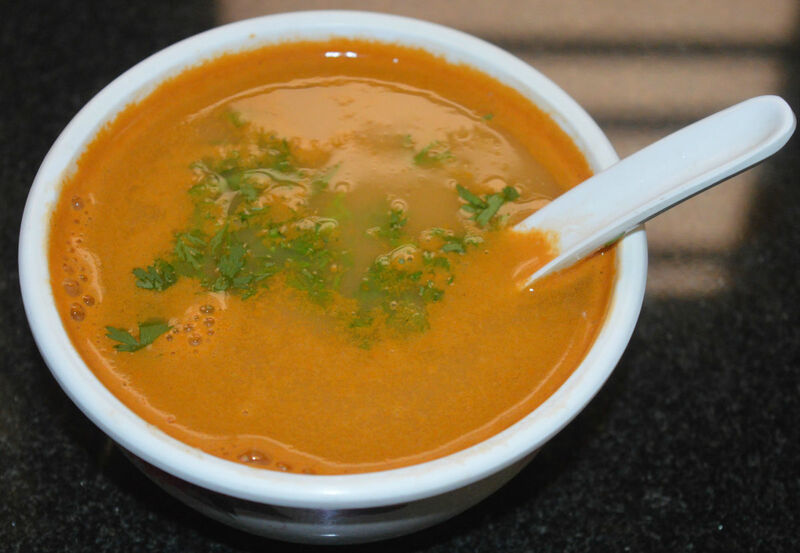 Enjoy sipping this delicious hot soup!